PHILADELPHIA, July 2, 2018 /PRNewswire/ -- Matson, Inc. (NYSE: MATX), a leading U.S. carrier in the Pacific, and Philly Shipyard, Inc. (PSI), the wholly-owned U.S. subsidiary of Philly Shipyard ASA (Oslo: PHLY) christened the largest containership ever built in the United States in a ceremony at the Philly Shipyard on Saturday, June 30. The new vessel is named 'Daniel K. Inouye' in honor of Hawaii's late senior U.S. Senator, who was a longstanding supporter of the U.S. maritime industry and its important role in supporting Hawaii's economy. 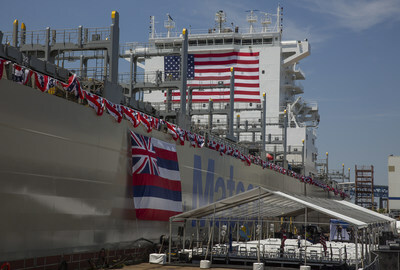 It is the first of two new ships being built for Honolulu-based Matson by Philly Shipyard at a total cost of approximately $418 million for the pair, and the first of four new vessels that Matson will put into its Hawaii service during the next two years. "This is a proud day for all of us at Matson," said Matt Cox, Matson's chairman and chief executive officer, at the shipyard ceremony. "Over our first 136 years, Matson's fleet has evolved from sailing ships to larger steamers to diesel power, consistent with changes in technology and always evolving in step with the needs of a growing Hawaii economy. "This new vessel, designed specifically to serve Hawaii and built with LNG-compatible engines, is the next generation of vessel and sets a new standard for cargo transportation in Hawaii. It also symbolizes Matson's continuing commitment to serving our Island home in the most efficient, effective and environmentally sound way into the future," Cox said. Steinar Nerbovik, Philly Shipyard President and CEO, said, "It is with tremendous gratitude and pride that we celebrate the christening of 'Daniel K. Inouye,' alongside Matson, a returning customer. 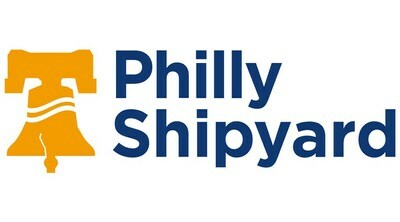 When this ship is delivered, no matter where it travels, it will represent the finest craftsmanship of Philadelphia shipbuilders, and fulfill our promise to provide American built and owned ships that will safely and securely service our nation." Matson invited Irene Hirano Inouye, Sen. Inouye's wife, to officially christen the vessel by breaking a ceremonial bottle of champagne against the ship's hull. The ceremony included a gathering of approximately 350 attendees including Matson and PSI executives, shipyard workers and union leaders. Speakers included Dr. Peter Navarro, Assistant to the President of the United States, Director of Trade and Industrial Policy and the Director of the White House National Trade Council; Rear Admiral Mark H. Buzby, Administrator of the Maritime Administration; General Darren W. McDew, commander of the U.S. Transportation Command (USTRANSCOM); and former Pennsylvania governor Ed Rendell. Weighing in at over 51,400 metric tons, the 850-foot long and 3,600 TEU* capacity Daniel K. Inouye is Matson's largest ship and the largest containership ever constructed in the U.S. It is also Matson's fastest vessel, with a top speed of nearly 24 knots, helping ensure on-time deliveries in Hawaii from Matson's three West Coast terminals in Seattle, Oakland and Long Beach. 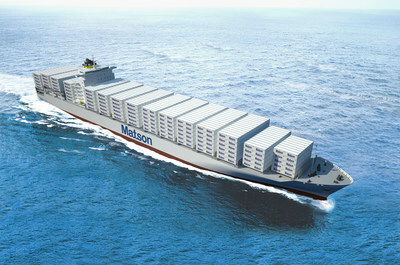 As Matson's first "Aloha Class" containership, Daniel K. Inouye incorporates the latest environmentally friendly technology, including dual fuel engines that can be adapted to use liquefied natural gas (LNG), double hull fuel tanks, fresh water ballast systems and a more fuel efficient hull design.